5 Days in Colombia’s bustling capital city of Bogota, known by many as the "Athens of South America"
Welcome to incredible Colombia! 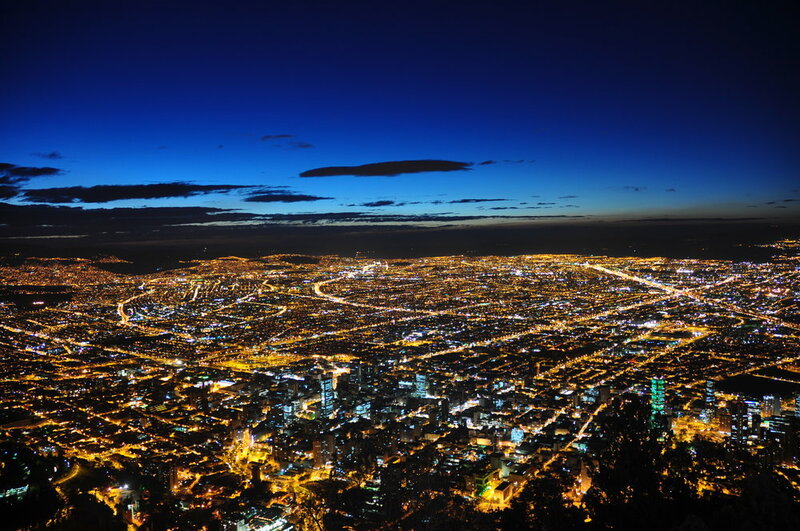 Arrive in Bogota and embark on an exciting getaway in one of the country’s most diverse cities. Upon arrival to the airport you will meet your private transfer and be taken to your hotel, where you will have the evening at leisure to explore the neighborhood, enjoy a dinner at one of the city’s top restaurants, or getting to know the thriving nightlife and music scene. After breakfast today you will depart for a Half Day Walking Tour Historical with visit to the Gold Museum. The tour will start in La Candelaria, Bogota’s heart and soul. This is not just the oldest part of the city, it is home to Plaza Bolivar (Main Square), the historical focal point. Surrounding the square are several important Colonial and Republican style buildings including the Palace of Justice and Colombian Congress. As you wander the streets of La Candelaria away from the main square, your English speaking guide will not only explain the history of Bogota but also the intricacies of current Colombian culture and daily life. There will be time for a refreshment stop in one of the local coffee houses. After this short break you will head on to the Botero Museum. This is a permanent exhibition of art works by Fernando Botero, Colombia’s most famous artist who’s "oversized” art is instantly recognizable. There are several rooms with displays of his work both on canvas and sculpture. The museum not only houses work by Botero but also other world famous artists such as Dali, Monet and Van Gogh. The next stop will be the Gold Museum. The Museum has one of the finest collections of Pre Hispanic gold in the world, with more than 35,000 pieces of pre-Colombian gold work in the collection. (Note: Gold Museum is closed on Mondays). The evening is on your own. This morning after breakfast, depart for your half day tour of Zipaquira and the Salt Cathedral. For some this is a religious monument, others a celebration of engineering or maybe even an artistic masterpiece. 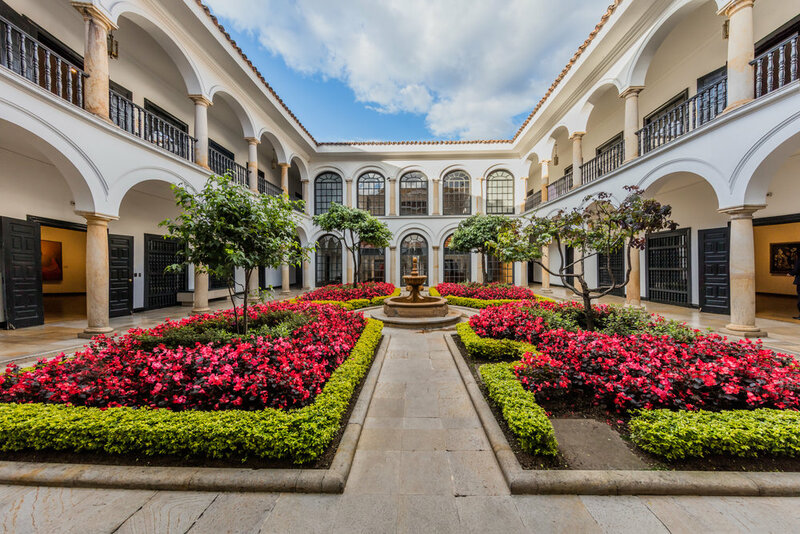 For the beauty of its landscapes, the richness of its earth and the hidden jewel beneath the earth’s surface, Zipaquira is somewhat of a must during a stay in Bogotá. Travelling north of the city, through countryside once occupied by the native Muisca Indians, Zipaquira is one of the more popular tourist destinations in Colombia and is mostly famous for its Cathedral carved underground in a still functioning salt mines just west of the town. Around the central square of the town of Zipaquira the colonial buildings still hold their charm footed by paved brickwork and overlooked by the Cathedral Diocesana de San Antonio. Return mid afternoon to your hotel for the remainder of the day and evening on your own. Enjoy your day at leisure or speak to your travel planner about booking a tour or excursion in Bogota or somewhere just outside. A visit to Monserrate Cathedral, an delectable food tour, inspiring cooking classes, city biking, salsa lessons? You name it, we've got it! Make the very most of the final day of your Colombian getaway. Following breakfast and check out, depart from your hotel and transfer to the airport for your flight home.